Ohhhh yes it is totally time for one of these. I think I need to release all of this fangirling at once so I can get back to my normal drama watching life. That probably makes no sense, but bear with me, my sanity needs it. First of all, I’m not really sure where or how it started. Looking back at all my previous comments about Pleasantly Surprised / Love Myself or You, whilst I feel Puff and Jasper’s characters are cute and there’re heaps of fluffy moments… some parts were also draggy and completely unnecessary for the plot development. After going through some online comments, I think the majority of Pleasantly Surprised viewers are on the Jasper/Puff ship, or simply, there’s more talk around Jasper since he’s more well known and popular. Despite Jolin aka Hao Wei’s rocky start though, he has definitely won a lot of sympathy especially in the last episode – I never really shipped Kai Qi x Hao Wei until like episode 19, which is crazy. Now more people are noticing Jolin as well. His Facebook page went from 10,000 likes in late June to almost 40,000 now! Still a long way to go but hopefully he’ll get more acting roles in the future. OK, this is not the point of this post but I just wanted to put it out there that I started watching because Jolin is the 2nd lead. And I wasn’t really a ‘fan’ then, just liked his screen presence and his minor role from The Pursuit of Happiness? And then I saw his dancing on 100% Entertainment, that’s probably when I thought – OK, I need to keep this guy on my radar! I couldn’t find a better version of a vid where I can embed, but MapleStage has the full episode, including the part which talks about this training and Show Lo’s comments at the end. Name: Why Jolin? Since his name is “Jian Hong Lin”, if you say it really quickly it sounds like Jolin. LOL! Why I fangirl him: Besides the looks 😉 he can draw, sing, dance, plays guitar, drums, worked as a bartender and barista (so he can make great coffees and alcoholic drinks!). In his 4ever profile, he listed floral arrangement as a talent but I haven’t found any video evidence of this LOL. He also has a bit of the bad boy vibe (likes to keep his facial hair and he has a tattoo on his arm), but also a bit dorky (a clean freak and he can do a really funny Mr Bean imitation), plus here’s the kill – did I mention he likes to cook? I’m sorry, I think that seals the deal right? I want Simon to have his own spinoff drama, he was an interesting character. Formed a duo (StyLe) with Lawrence Chen Hao Wei and released an album in 2007, his name at the time was Samuel. Formed a group (4ever) with Yorke Sun, David Hsu (Latte) and Deyn Li – they released their debut EP in 2012. This video was from their album promotion and they were so cute! Lawrence was crying and couldn’t continue singing but Jolin stepped in and helped. Plus I love this song! It’s so hard to find clear videos of their performances since this was 2006/7, pre HD days! Jolin often joked that StyLe was a group that no one had heard of. About a year later, they disbanded because Jolin had to do his compulsory military service. 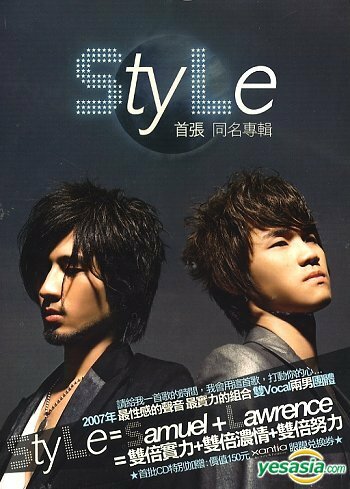 My opinion – Yep, I have never heard of StyLe before either but I think they both have pretty good vocals. The other guy Lawrence is pretty cute too. Out of the duo I think Lawrence’s voice is more distinctive. When Jolin was in the military (2009), Lawrence entered the 5th series of Superstar Avenue but came 11th. Don’t think he’s really in the industry anymore, since he is a hair stylist now? Back to StyLe, I don’t know why though, they didn’t have more local composers write their songs. Most of the album were covers (originals were Korean except one was an English song). It’s hard to surpass the original and it only alienates certain groups of kpop fans. I know their selling point was their great voices but still… even though it was 2007, back then Kpop is not as popular as it is now but that doesn’t mean they can just transplant it into the cpop market. StyLe released three MVs and I guess out of the songs on their album – this one is my favourite. The MV girl is SONIA SUI !!!! 幸福的起點 was a really good song too although a bit ‘old fashioned’. I feel like it belongs in 1997 and not 2007? I had to include this video – it was from their performance at National Taipei University. From about 4:30 you see that Jolin’s brother studied there so he got lots of support. Even his mum went on stage. It was so sweet seeing Jolin’s family feeling so proud of him, older brother and mum were in tears! Pity this duo didn’t work out, they woud look amazing now. Lawrence (don’t think he uses this name now, but calling him Hao Wei is slightly confusing) reminds me a lot of Ethan Ruan. This photo was from September 2013 – it’s like they’ve both grown up so much in five years. For a couple of years, Jolin did some commercials / modelling work. But to pay the bills, he worked some odd jobs including bartending and a barista. 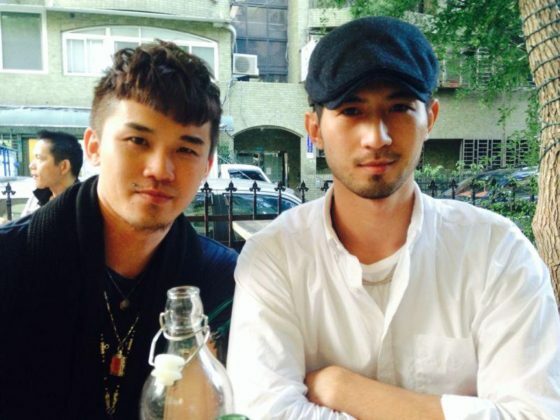 Apparently, the cafe he worked at (Homey’s) was known for hiring good looking guys – his co-worker from Homey’s (Yorke Sun) also became a member of 4ever. One of the commercials he did was for Canon with Janine Chang. He plays a coffee shop owner in it and it’s super cute! The little kid is so adorable he’s like a mini Jasper Liu LOL. I don’t know the exact time but sometime in 2011, Jolin, Yorke Sun, David Hsu (Latte) and Deyn Li were signed by Avex Taiwan and became 4ever. David / Latte made the first breakthrough by getting the role of Nic – also known as Cheng You Qing (Ariel Lin)’s assistant in the drama In Time with You. Since the drama was such a success, Latte probably was the most popular member when 4ever made their debut in June 2012. 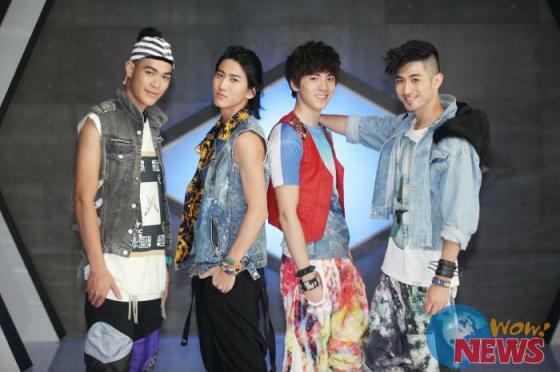 Their first EP consisted of 5 songs and 3 MVs were officially released. Even though Avex did promote them quite a bit 4ever never really took off. About a year later, Avex actually disbanded their cpop division so (I don’t think) 4ever is signed with anyone right now (musically). They are however, managed by Chou’s Entertainment whose most famous artiste is of course – Ariel Lin. So they work a lot together, most recently, in an advertisement for Crocs. My opinion – After Pleasantly Surprised, I love all of the 4ever boys but I’m pretty sure after I knew about Jolin from The Pursuit of Happiness I watched one or two of their MVs and they didn’t interest me at all. It’s just… the styling is horrible!!!! Their grand debut song wasn’t that great and they had the WORST outfits, ever. Remember they started doing shows etc around April and through to June (summer) and yet Jolin had to wear that big jacket. I watched a bunch of their campus performances and pretty much in all of them Jolin commented on how sweaty he was in that outfit. Plus those horrid pants – you can’t hardly see their legs move. I can go on!! That’s probably why my favourite MV out of the 3 released was ‘Let’s Go’. Their dancing is not the best (I know I’m biased, but I do think Jolin is the strongest in terms of singing and dancing in 4ever.) but keeping it simple is not such a bad idea. Plus the song itself is decent. Although Yorke is officially the ‘leader’ of 4ever and Jolin is only the ‘deputy-leader’ / lead singer, Jolin tends to be the one who talks the most in interviews etc. Latte and Deyn seems pretty chill – and their age difference probably had a lot to do with it too. 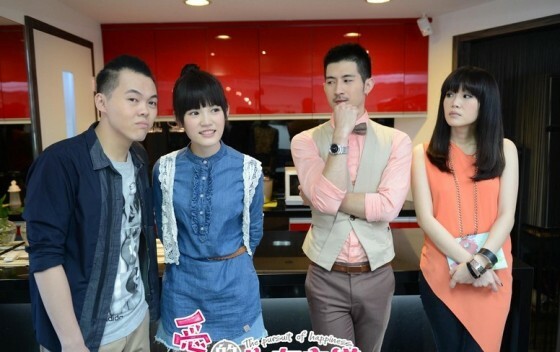 (Yorke and Jolin are both 28 while Latte is 26 and Deyn is 23.) And Jolin had said he really wants to succeed in this industry, having already failed once. 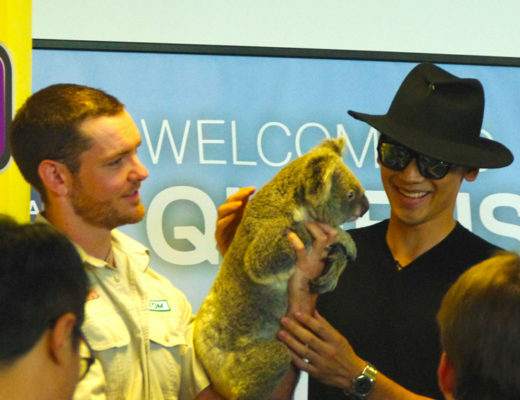 Maybe it’s because he had to go through some tough times Jolin seemed a bit older than he really is. I wanted to include some interviews, more pics and even more videos but since this post is quite long already, I thought I’d save it for Part 2. Feeling so much better already after releashing all this craziness! HAHAHA. All I’m gonna say is….he should definitely keep his facial hair. I’m digging facial hair on men lately. EEE! What’s happening! Though, him wearing a pink shirt with a bowtie….definitely gives off a different set of vibes. LOL! Luckily he said before that he hates shaving. Well, I’m not complaining!!!!! Same here~~ I also love facial hair nowadays hehe. Ohh the bowtie, in The Pursuit of Happiness there was that funny subplot where Tony Yang thought Jolin’s character was hitting on him LOOOOOL. HEH I saw this post coming Kat! It’s about time. Wow he looks really different back in his Style days. O_O So hard to recognize him with that old hairstyle! 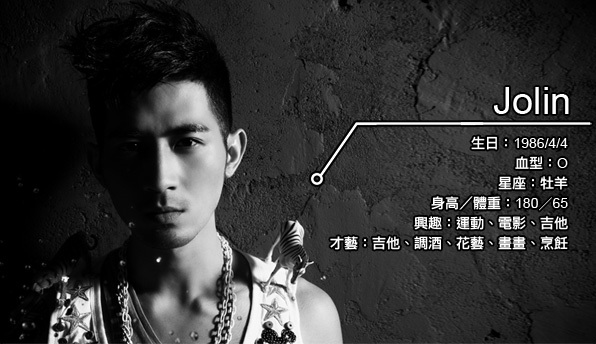 I knew Jolin was a singer but I didn’t know his background with the groups he’s been in. Plus I didn’t know he can dance! 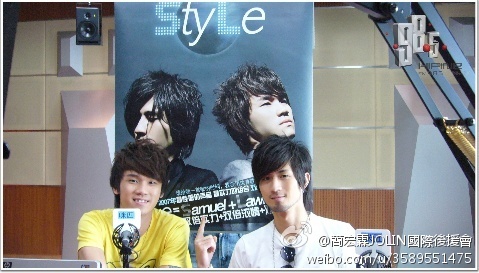 That hair is like a mountain LOL, maybe they made it so high to distinguish from the other guy!!! Guess he had to do singing/dancing training with both groups. 😉 Although it’s hard for a group like 4ever to become really popular since the Korean groups are soooo good. I’m surprised that Yorke is officially the leader of 4Eva! Maybe it’s because I’m use to Jolin being the second lead in the drama and also being quite talkative, but I always thought for sure that the leader was Jolin! Interesting read, thanks for all the pics and videos too! 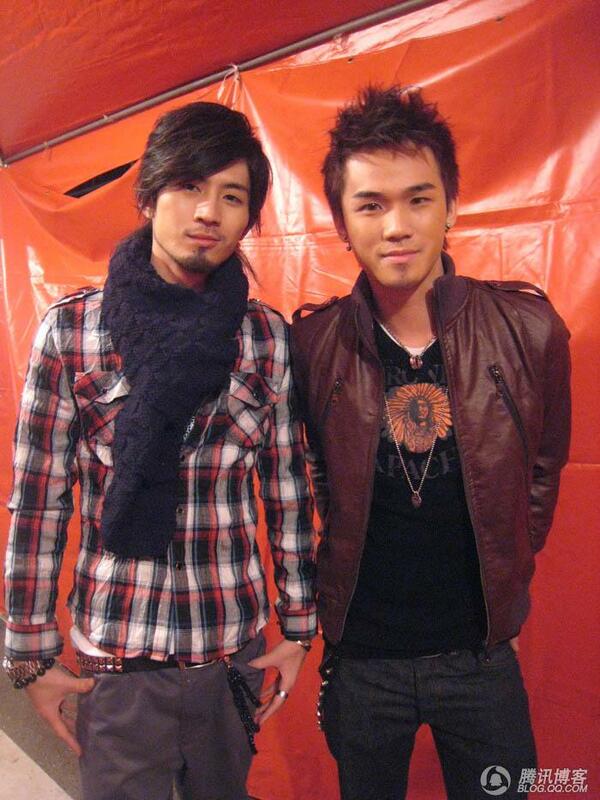 Yeah I remember in an interview the boys said Yorke is like the mum while Jolin is like the dad in 4ever LOLOLOL. Honestly, I think Jolin had better character developments than Jasper in the second half of the drama. He truly deserves recognition and he looks much, much, much better now than when he was in the past. I didn’t even really remember him in TPOH, but I kind of have an impression that he was the guy that was hitting on Yang You-Ning in TPOH (misunderstood as a gay). I wasn’t shipping Jasper/Puff, I like them as a couple but I don’t fangirl over them like when I fangirled over Lego Lee and Lorene Ren’s characters in In a Good Way.There’s sparks between them but more like friendly sparks than romantic sparks? Anyways, I can see that lately you’re loving Jolin, have you forgotten your boyfriend, Bolin Chen? LOLL. Nah, I think it has something to do with me as Jasper-biased, LOL and also the characters they portray. Jasper need to pick better characters, I love him personally but I always end up not really liking his drama characters (eg: IUUI and PS), Ah-Jie is fine but the second half is just not as good as how he started. Jasper is not that shy though, if you watched their BTS, Puff and him banters a lot and look pretty comfortable around each other. I think it’s more of the characters’ problem, not the chemistry. It’s a sign of true love~ when you don’t really like his drama characters but still love the person LOL. I fell in love with him because of his smile in his pictures and then realized I’ve seen him before in In Time With You, LOLLL! It’s more of a shallow thing, I just like his type of looks, tall. good looking guy with a warm smile (I’m into Korean model guys too), I did like his broccoli hair on picture but not on screen so I’m glad he chopped off his broccoli hair but I prefer him with some bangs, haha. But I think looking at his pictures and watching him behind the scenes made me love him even more, he have a cute personality.